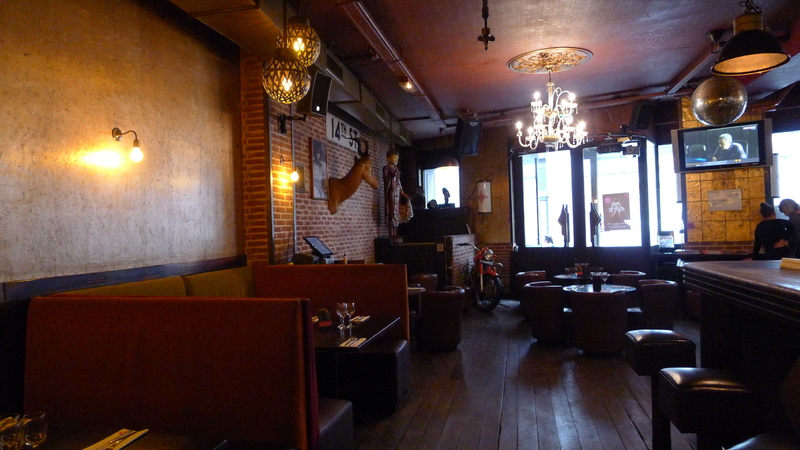 The Rue Frochot used to be known for its hostess bars, and has only been improved by its move in favour of venues like Bonnie and Clyde. Even the neighbourhood’s old crowd, usually conservative where change is concerned, have been making their way down the stairs leading to the cellar bar. 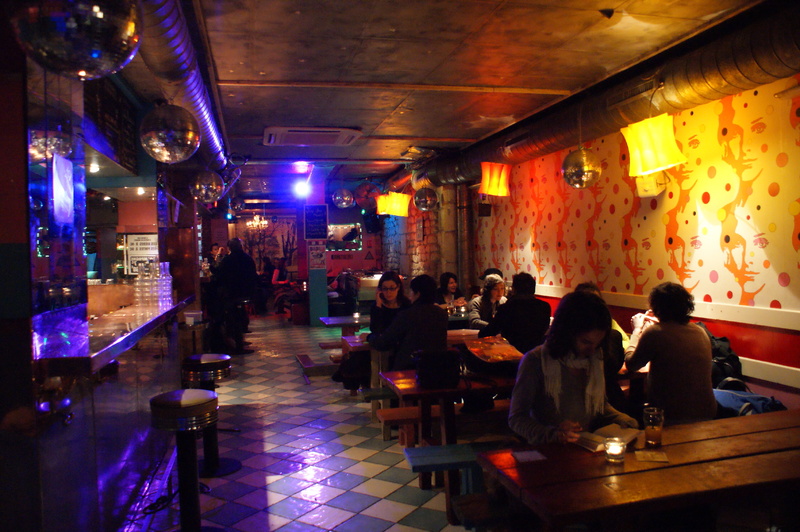 It's a simple, friendly spot that goes well with the area’s late-night, rough-around-the-edges vibe, and which is one of the rare places to have a licence until 6am – a welcome exception to the nowadays more usual 2am. 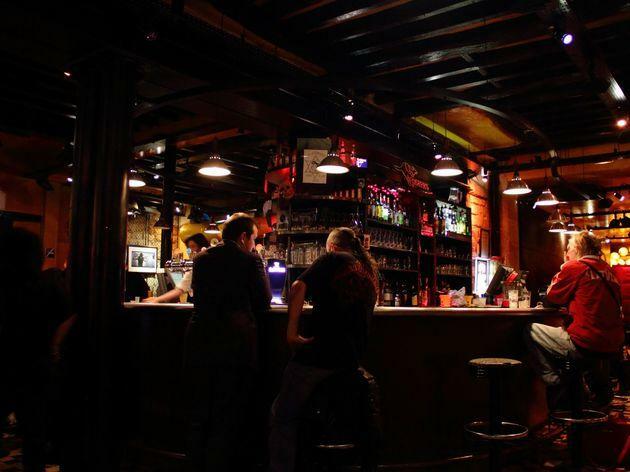 With its shadowed corners, twinkling orange fairy lights behind the bar and an impeccable music selection, Bonnie and Clyde is a perfect late night bolt hole in Pigalle, easy-going and good value. Banal during the day, Le Tambour is the late-night haunt of all the neighbourhood’s night owls and insomniacs, staying open until six in the morning. 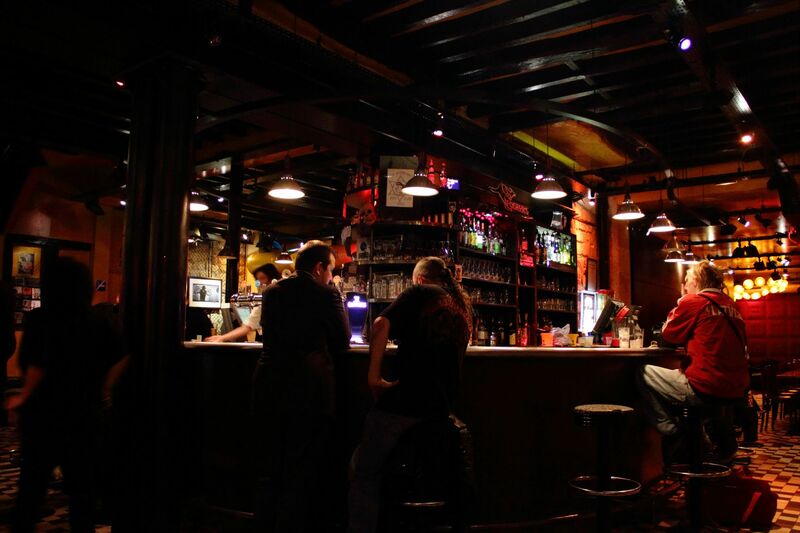 The atmosphere is warm, though it can get a little crazy between the drinkers draped over the bar and the gruff, strapping barmen. 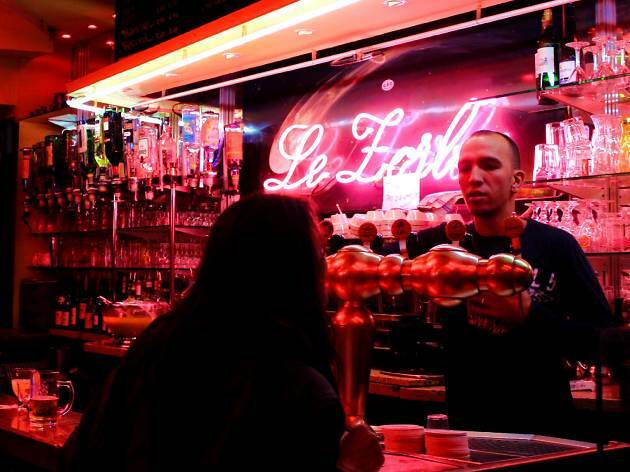 But it’s always fun mixing in with this eccentric nightlife – more often than not you feel like you’re in a sailor’s tavern, decorated with a jumble of salvaged road signs, rather than in a bar in the centre of Paris. Here, you can satisfy any cravings for andouillette, a malodorous intestine sausage, for pig’s feet or simply for steak, at any hour of the day or night. To go with these rustic dishes, order a box or a bottle of wine à la ficelle (you only pay for what you drink). As you’d expect, the low prices increase slightly in the early hours. 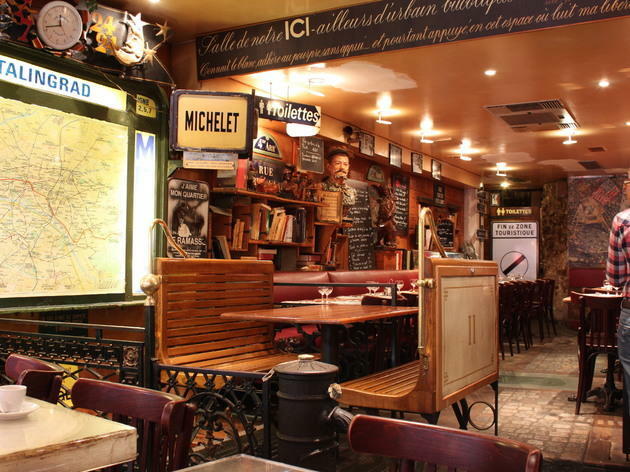 Le 138 on Rue du Faubourg Saint-Antoine is a discreet bar a few paces from the Bastille, and a good place to have a last drink after 2am without having to scream into your neighbour’s ear in some pounding club. 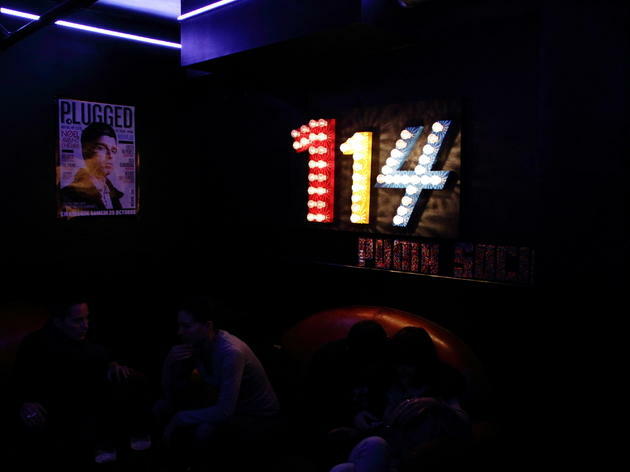 Rather, Le 138 is a vast, comfortable bar with subdued lighting, deliberately well-worn shabby chic décor and a background of well-chosen rock music. Combined with vaguely baroque furniture and mismatched overstuffed leather sofas, it all adds up to an invitation to flop down and have a drink at any hour of the day or night. There’s a huge bar overlooking a long room, whose bay windows are filled with light during the day. 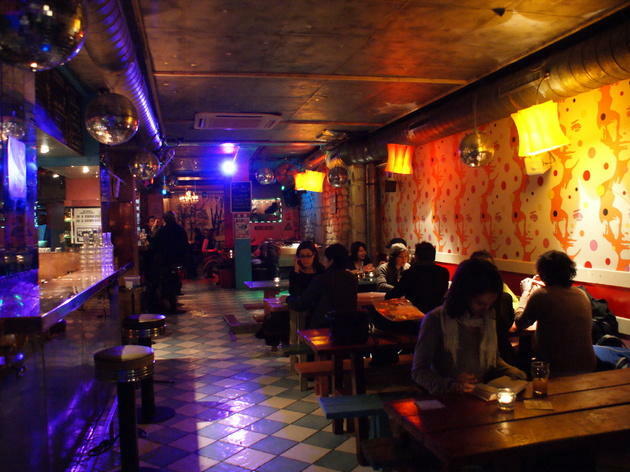 Two other little rooms connect to this one, leading to a staircase and then an underground space where you can take a turn around the dance floor.The staff are affable, and the kitchens open at every hour, turning out various simple salads and sandwiches. The menu covers cocktails, reasonably-priced wines and bottled beers, and the prices stay affordable even if they go up in the small hours. Happy hour until 9pm. Also known as ‘La Cantine des Ginettes Armées’ or the armed girls’ canteen, Le Troisième Lieu is a lesbian paradise, full of open minded girls on a mission to let themselves go. The house speciality: a pitcher of honey-flavoured Fargo beer. 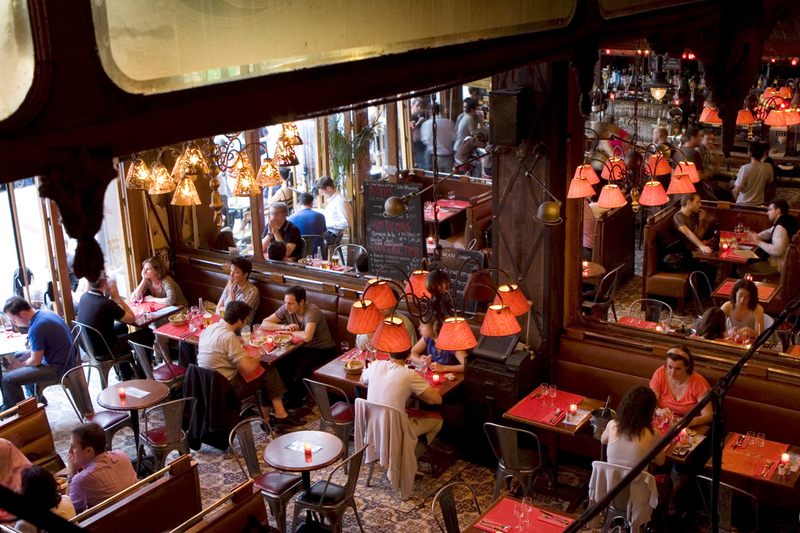 You can also scarf a meal here, though more to satisfy desperate hunger than to benefit from any Parisian gastronomy. In the evenings, lady DJs get going on the decks, which are set up at the back of a caravan, installed in the venue by we know not what means. 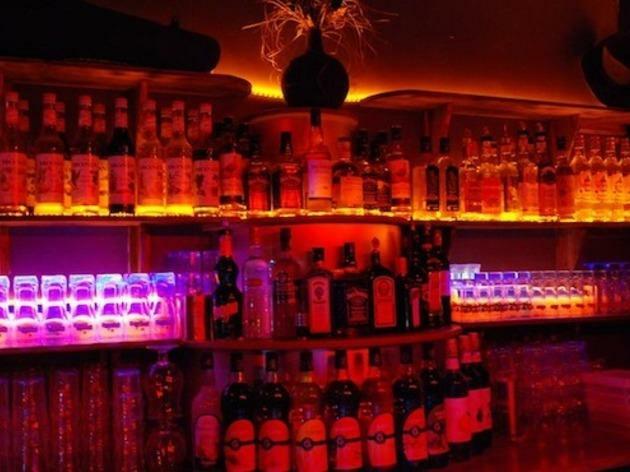 The décor is kitsch, sparkly and colourful, including a table football set and G-strings hanging out to dry underneath the bar. A yellow-painted basement area serves as a dance floor – electro-house here, world music upstairs. 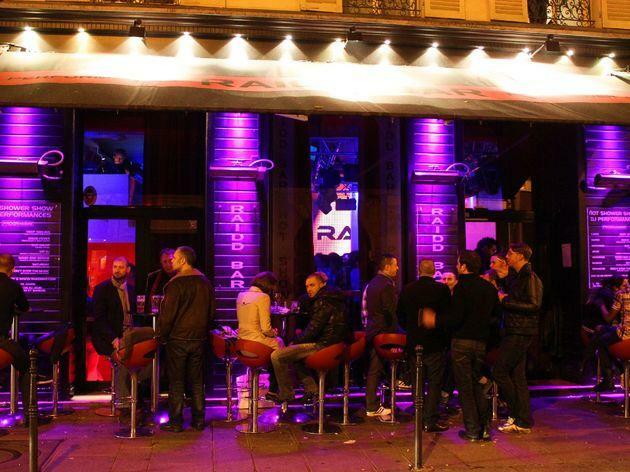 The evenings also offer slide projections, DJ sets and concerts, and at weekends the fun goes on until the early morning, making Le Troisième Lieu a good bet for a drink after 2am. Guys and straight girls can get in, but on busy evenings the target clientele will always get served first. When things hot up it can get overheated and hard to breathe – and the bouncers aren’t always sympathetic to those heading out to gasp for air, thanks to protests of the grouchy neighbours. Just because there are already 36 rock bars in Oberkampf, you shouldn’t have to restrain your joy when a new one opens up. 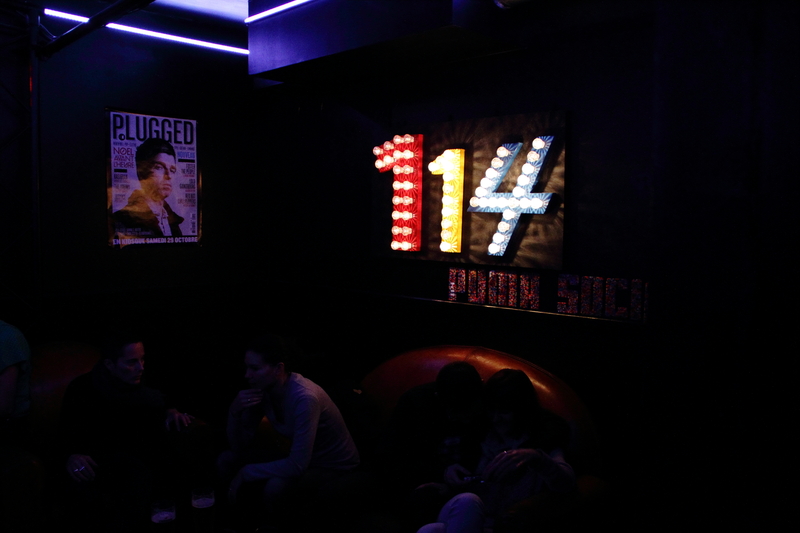 Opened in partnership with Puma Social and in association with the new magazine Plugged, Le 114 proudly parades its motto on its front window: ‘C’est comme chez toi, mais en mieux’ [It’s just like home, but better]. Squishy armchairs and huge sofas back up this assertion, even if the atmosphere isn’t quite as warm as the sign might like to have you believe. 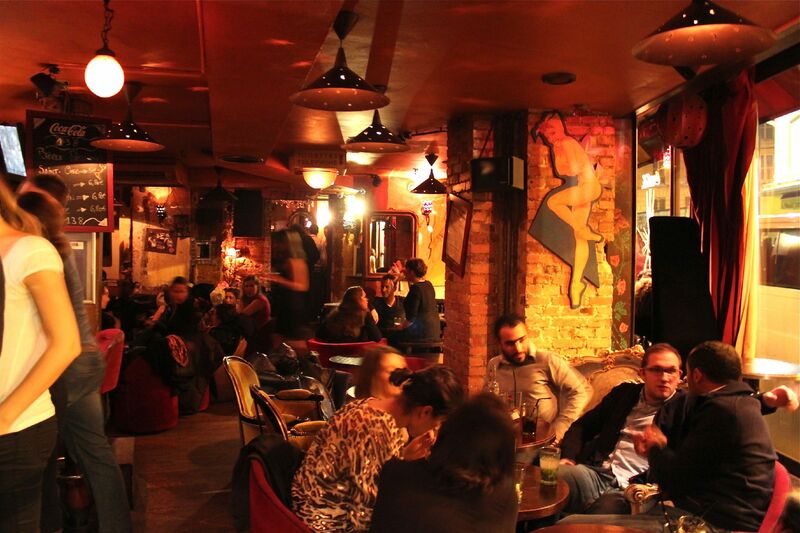 However, the bar’s creators hit on a great concept when they decided to invite groups to play for free on the bar’s small stage. The programme shows a confident good taste in rock and pop, and the door policy is run according to time-honoured principles: first come, first served. Prices creep up slightly beyond the neighbourhood standard, but why make a fuss? It’s up to Le 114 to create a real identity for itself outside of its commercial strategy, and it seems like it’s going to be just a matter of time. 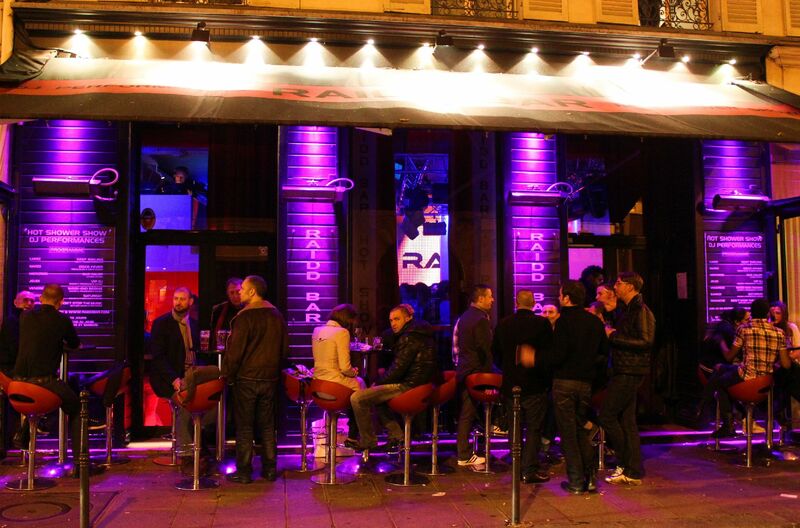 Le Raidd is a Marais LGBT venue to be reckoned with. Famous for its bare-chested barmen straight of a modelling agency the major draw is surely the soap-sud-covered, brief-sporting, body-building go-go dancers that flaunt their wares under the front window’s built-in showers (summer only). Running every 30 minutes, the show naturally creates quite a buzz among the gays – but also among legions of screaming girls in need of a fix of rock-hard six packs and pillowy pectorals. It gets pretty wild, sometimes bordering on a riot. 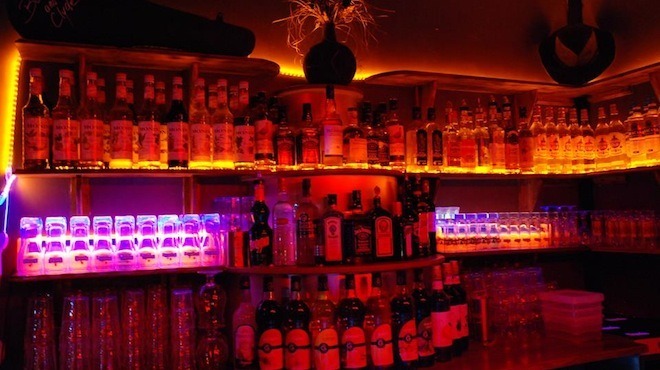 Drag queens and gays naturally frequent the venue – the red velvet rooms downstairs are cosier and more relaxed, ideal for making new acquaintances. With free entry, a warm welcome and reasonably-priced drinks for everyone, this humming club is always busy, and closes late all week. Tuesday night is nostalgia night (70s, 80s, 90s), Wednesdays are Latino, and weekends electro, giving everyone plenty of opportunities to dress up while wearing as little as possible. 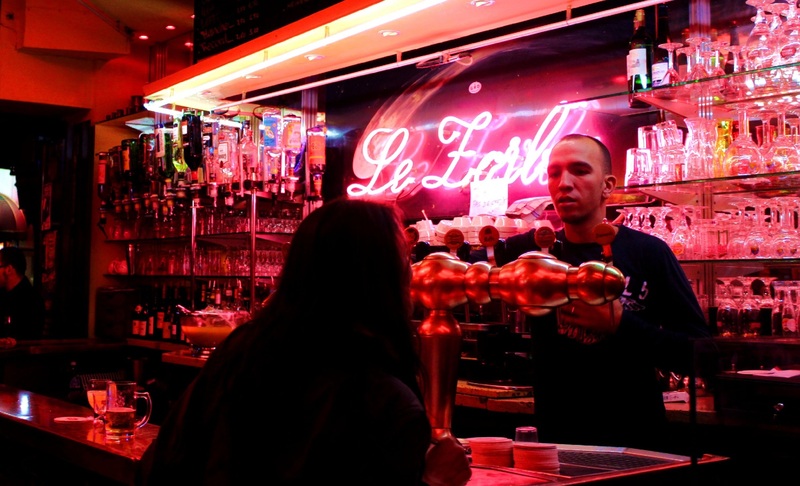 This rock’n’roll bar in the middle of the Rue de la Roquette is an anachronism – don’t waste your pennies on the old jukebox unless you have a yearning for Aerosmith, Guns N’Roses, the Stones or The Clash – all the rock, metal, punk and Goth hits that have sent over-excited long-haired revellers into transports for more than half a century. 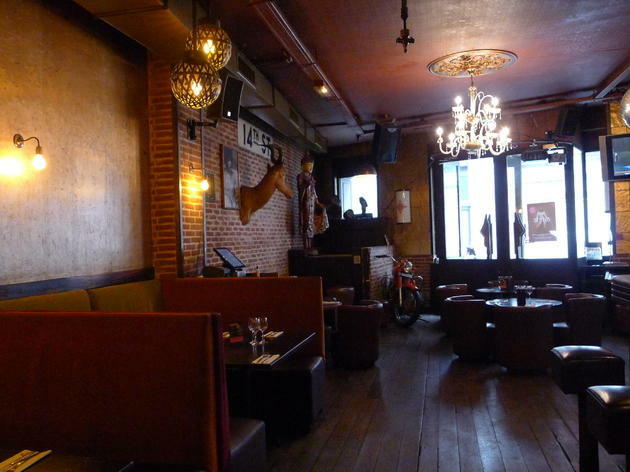 This shadowy dive with its red velvet banquettes offers deplorable cocktails like the Grunge, the Stockholm Syndrome or Le Trottoir, which is the colour of engine oil. A wide choice of absinthes completes the throat-searing selection. Open until 5am on weekends, with concerts. Not a reference to Charlie Parker, but to Winston Churchill’s parrot. 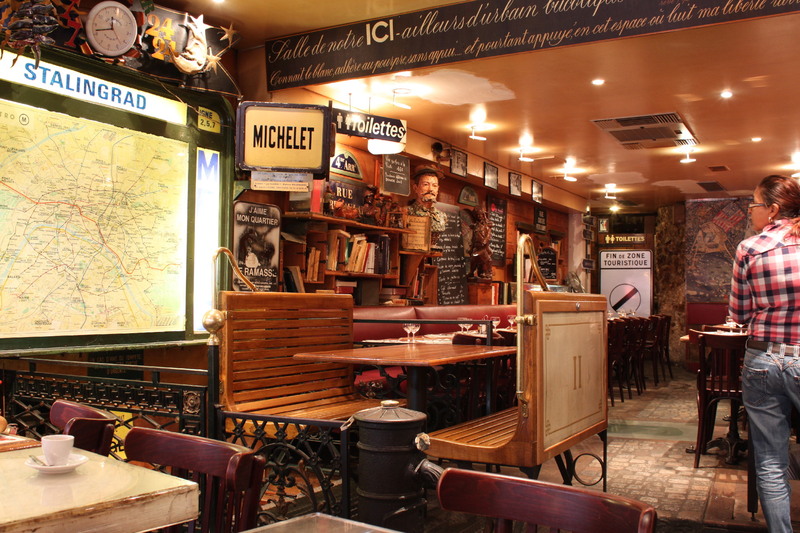 A stone’s throw from the Champs-Elysées, this enormous pub is a cross between a New York loft and a colonial gentleman’s club, attracting many a tourist and ex-pat. 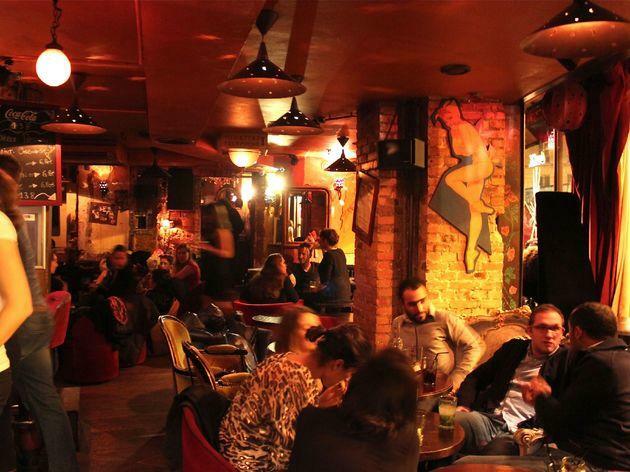 There’s a regular programme of jazz, blues, folk and funk gigs with reasonable prices for the area, and it has the distinct advantage of staying open until 5am daily. For live concerts, or to follow football and rugby matches on giant screens, you hang out on comfortable Chesterfield sofas. On the menu, the unmatched burger is always good value – huge, impossibly tender and served with fantastic chips – but it’s best to give the fajitas and tapas a miss. For drinks, try something from the huge cocktail menu, preferably during happy hour – 4pm to 8pm Monday to Friday – though if you’re in a hurry come back another time, as the service can be slow.Charlie Birdy is famous for its enormous if unrefined Gospel & Soul brunch at €19. With the menu ‘à l'américaine’, you’ll get a hot drink, fruit juice, pastries, bread, butter and jam, followed by a main course: hash browns, boiled eggs and bacon, a salmon and cream cheese bagel or a Caesar salad. 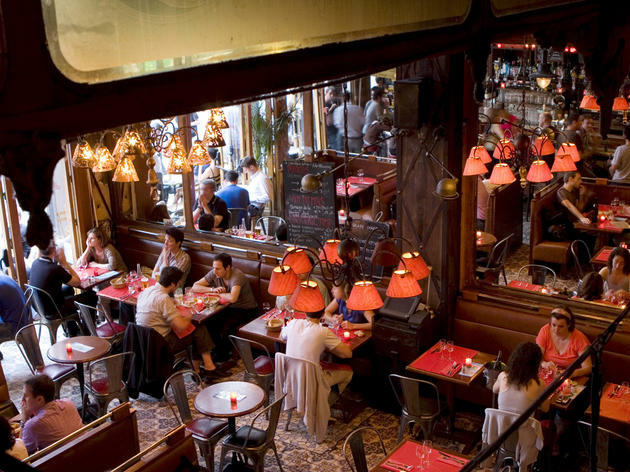 Then a sterling dessert menu: cheesecake, pancake, chocolate cake or – more original – a fresh fruit minestrone.There are two other branches of this bar in Paris: Charlie Birdy Montparnasse and Charlie Birdy Commerce, which only stays open until 5 on the weekends.